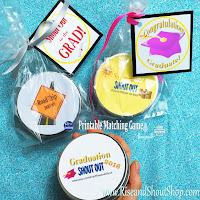 Graduation is a huge milestone in the lives of students -- whether it be graduation from preschool, kindergarten, elementary school, middle school, high school or college. This year so many people that I love and admire are graduating. My son graduates from preschool. My nephew graduates from high school. One brother-in-law is graduating from Brigham Young University. Another from The Violin Making School of America. My brother graduates from dental school. Such exciting times for my family! So many new and exciting adventures await. 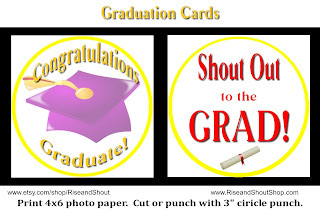 To celebrate all these Graduations, I'm offering a FREEBIE Graduation Card. 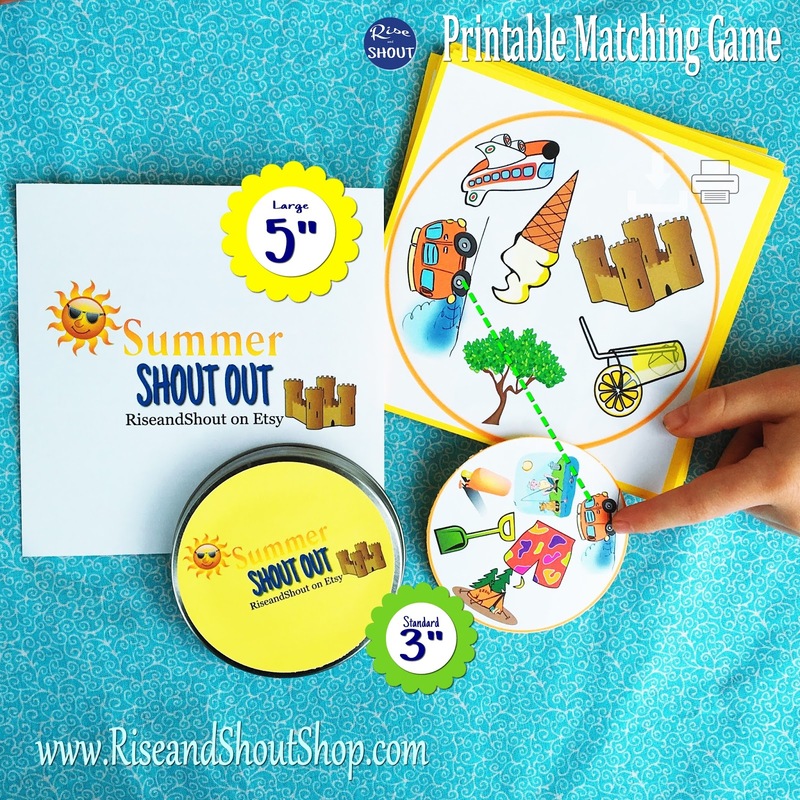 They can be paired with any gift, but are especially ideal with a Shout Out game. 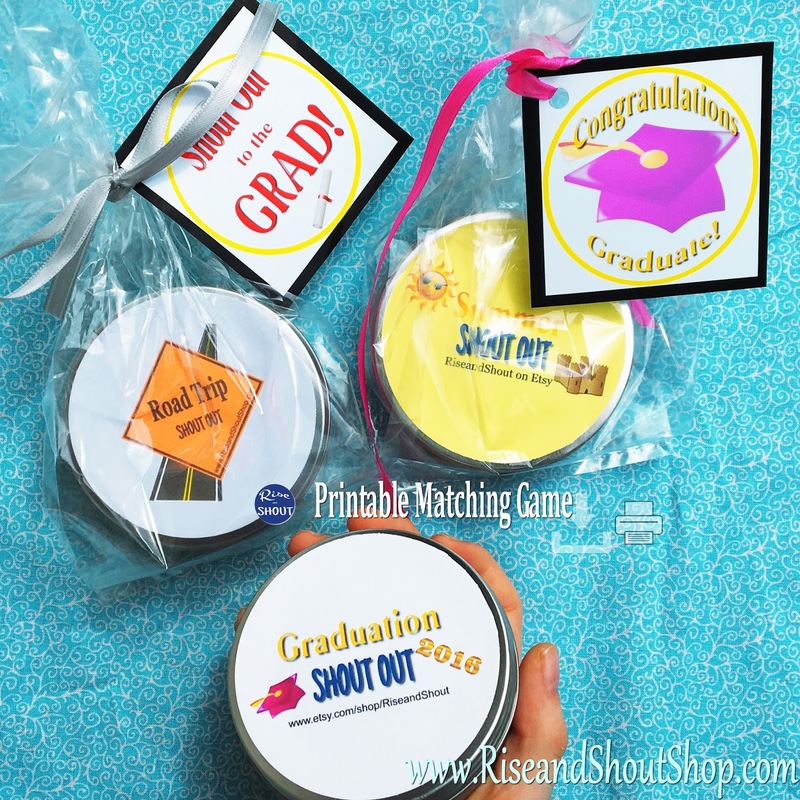 I've also created an exciting fun filled Graduation themed Shout Out game. Perfect for everyone from preschool to college. I'm always amazed at how this can unify any group. Of course, your graduate may be looking forward to a Road Trip or Summer Vacation and I've got games for that. 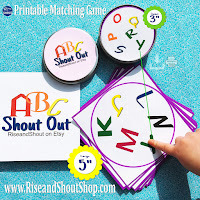 Your younger graduates from preschool or kindergarten may benefit from ABC or Number Shout Out games to keep their minds sharp this summer. 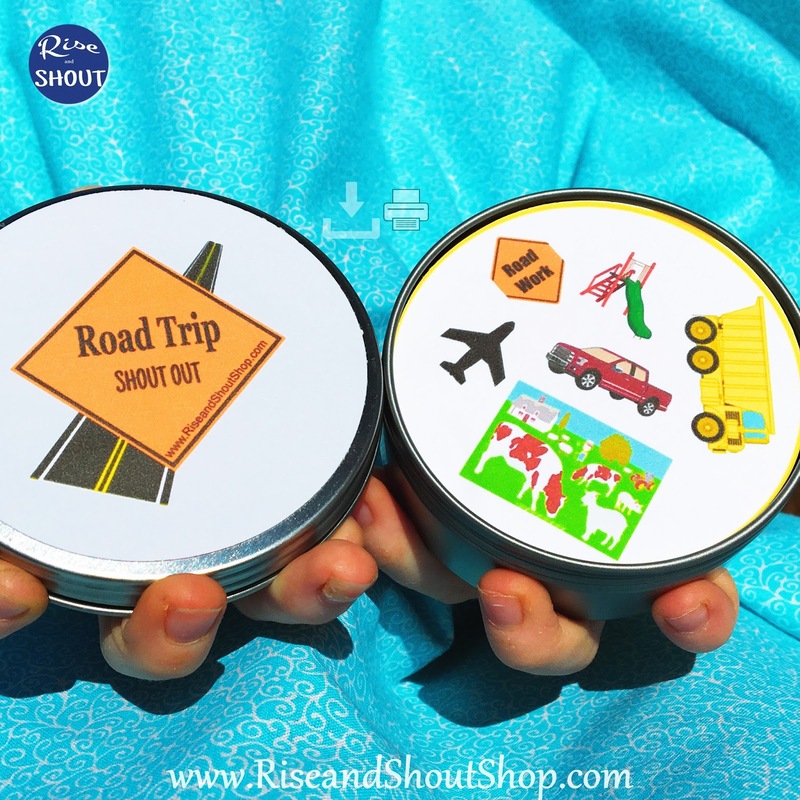 I love taking mine along to the beach or in the car.